I made sure to get all the popular brands of baby diapers available in the market before Arya arrived. I also made sure that I get to read a lot of reviews about which brands are the best and which are not. However, as I read more on forums, I find it more difficult and confusing as to which brand of diaper that I will finally set my heart into. Until a relative told me that it's best to probably just wait until the baby arrives before hoarding different brands of diapers. That way, I get to know first if a particular brand is safe on Arya's bum, and saved money as well. So, yay! Size is right for my baby. I used both Huggies Total Protect and Huggies Baby Dry on Arya and I couldn't be happier with the diaper sizing. It fits perfectly on Arya's bum and legs. No red marks! No leaks. I used to use Huggies Total Protect on Arya when she was just a week old and I had no problem with leakage. Arya is now almost 2 months and I use Huggies Baby Dry on day and night and never experience any leakage at all. Wetness Indicator. This has to be the plus points for me since not all diapers has this feature. Huggies Total Protect has this and this is really helpful. 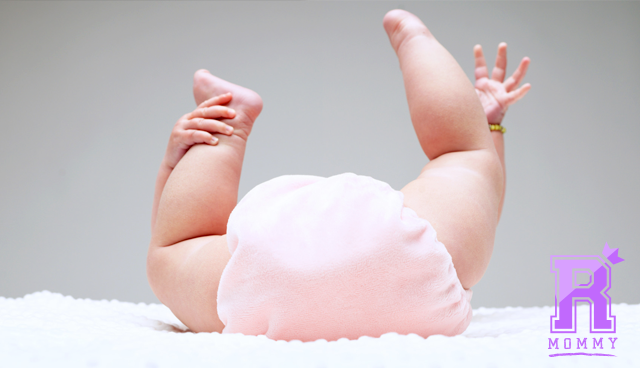 No need to peek on the side or insert your finger to check if the diaper is wet. When they said it's dry, it is dry. I find it amazing that even after long hours of using one diaper on Arya that I still could not feel her pee on the surface of the pad no matter how hard I press on it. 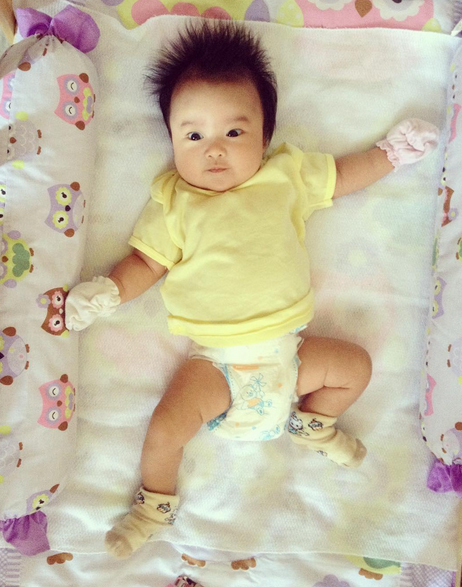 I make sure that I get to change her diapers every 4-6 hours on day and just use 1 diaper the whole night. Affordable. Price is important so this has to be a reason why I chose Huggies. I always buy my diapers online at Cudlsy.com and make sure that I get to buy in bulk rather than buying 1 pack per transaction. That way, the usual P8.00 per diaper becomes almost P4.00 - P5.00 per diaper. I get to save so much. Plus, Cudlsy always offers a sale on Huggies diapers. Double yay! No allergic reaction or rashes. Yes, I use baby powder on Arya's bum before putting her on a new diaper and Arya never had a rash on her bum. That's a plus!